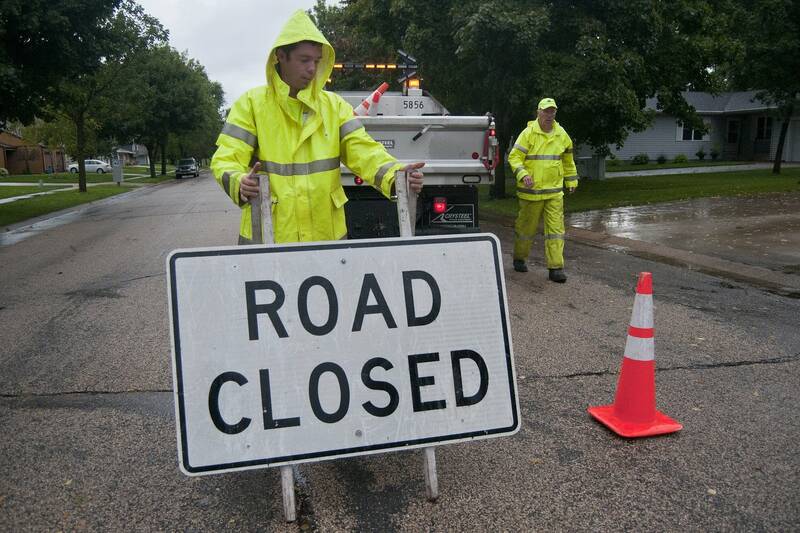 Updated: 3:45 p.m. | Posted: 6:40 a.m.
Storms with heavy rain saturated central and southern Minnesota, temporarily closing major highways, stranding motorists and forcing some to leave their flooded homes. 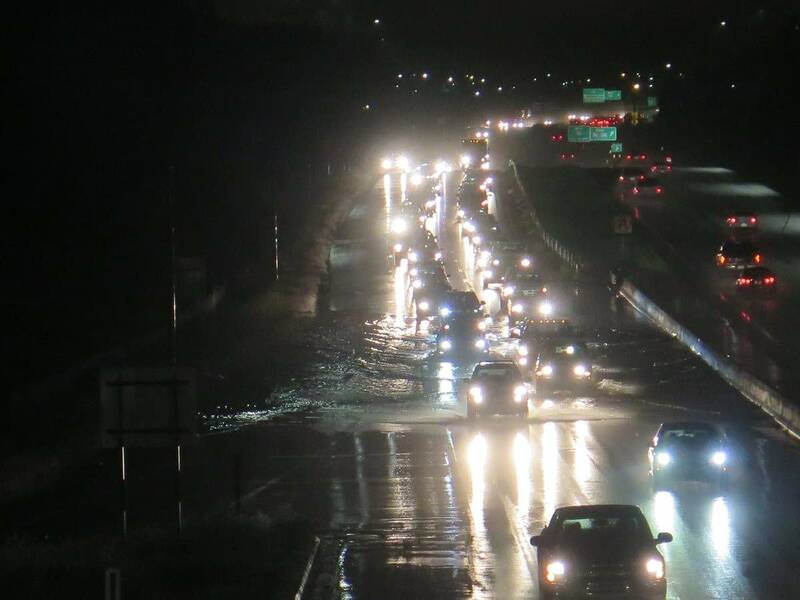 The Minnesota Department of Transportation used snow plows to push rain water off Interstate 94 in Maple Grove early Thursday. 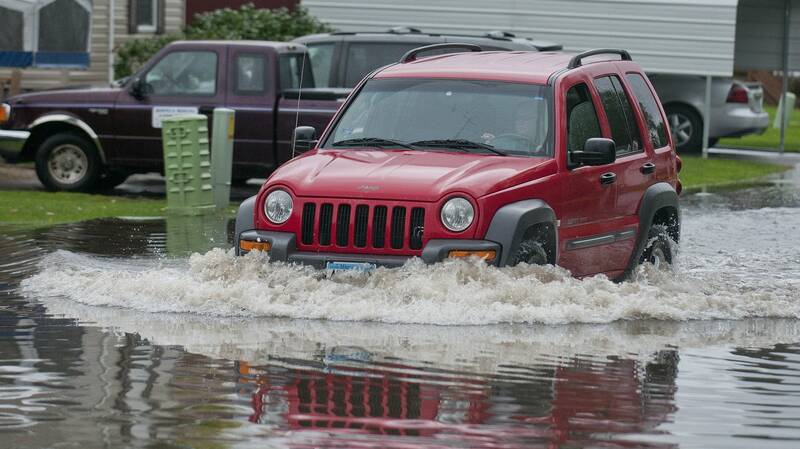 Drivers abandoned their vehicles, which sat in flood water at some intersections. 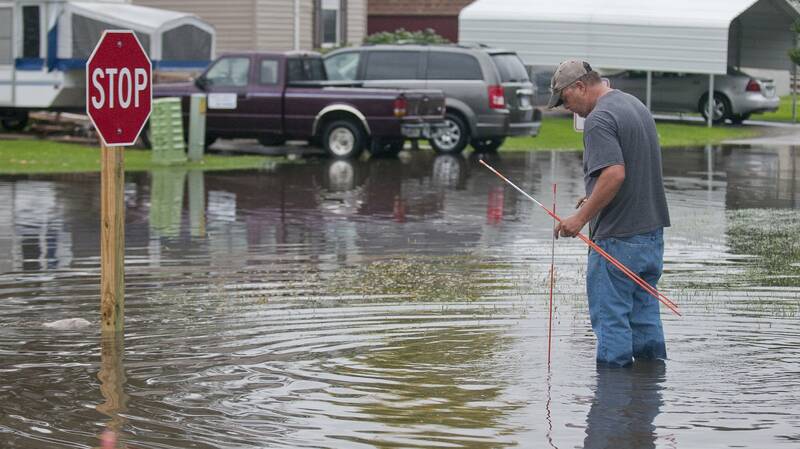 Steele County in southern Minnesota declared a state of emergency Thursday afternoon as it worked to cope with flood damage. Officials warned residents not to drive through or go near standing or rising water, saying it may contain hazards, be unstable or moving faster than people realize. The National Weather Service got a daily report of 9.8 inches in Maple Grove just after midnight. 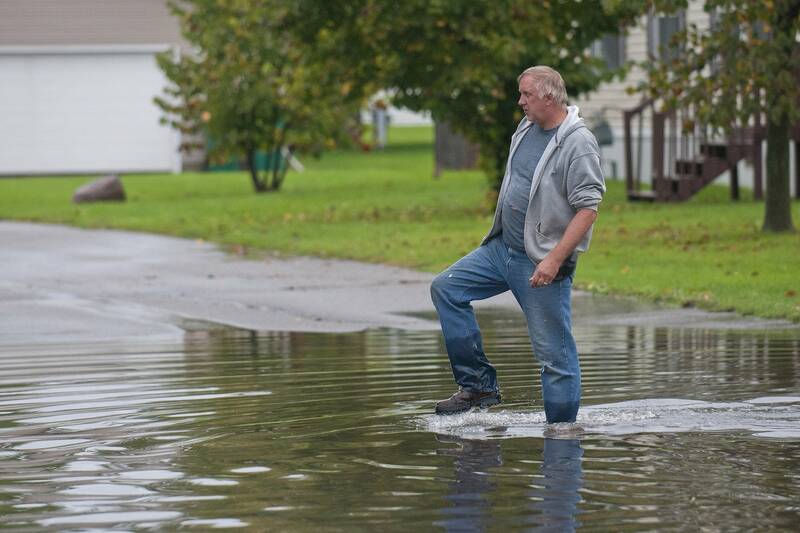 Another report nearby said there had been 7 inches of rain in just a three-and-a-half-hour span. 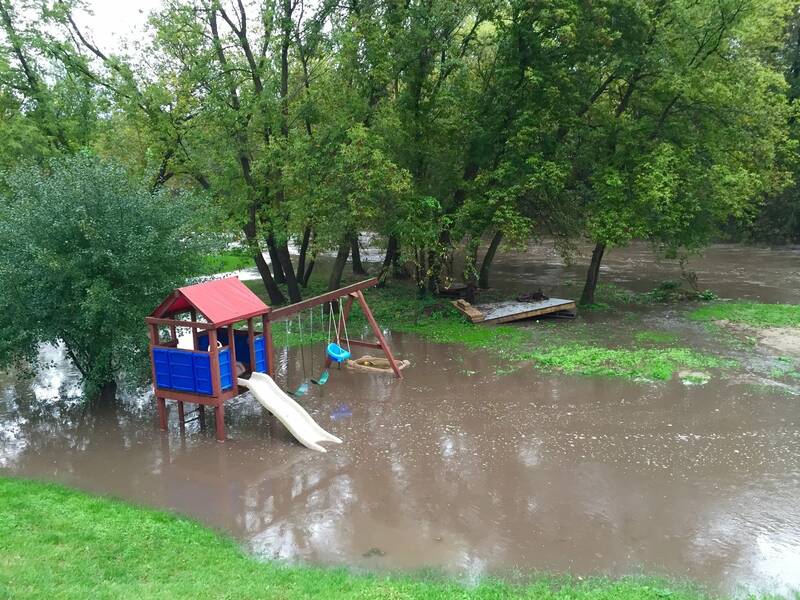 In Spring Lake Park, a weather service employee reported 5 1/2 inches of rain in four hours. 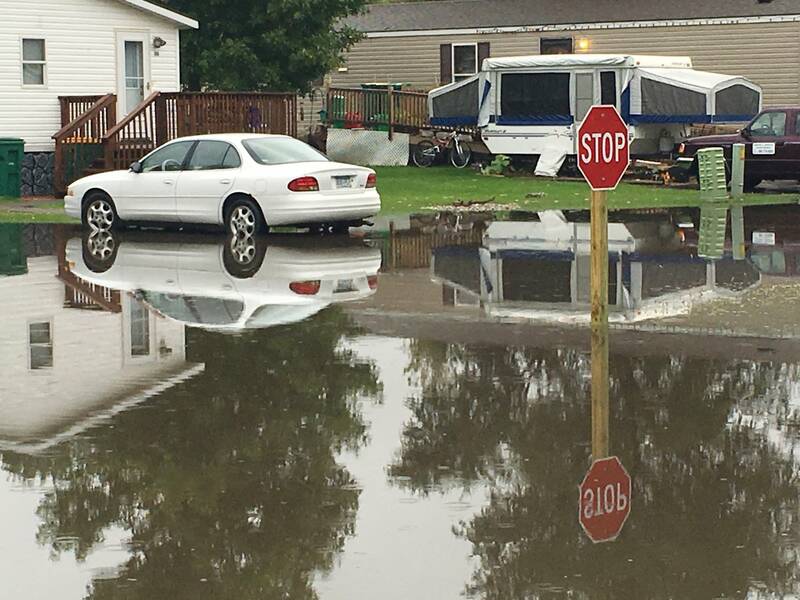 KSTP-TV reports an undetermined number of people left their flooded homes in Waseca, about 75 miles south of the Twin Cities, where officials said more than 10 inches fell over two days. In western Wisconsin, a portion of Highway 35 was closed because of mudslides, which washed out train tracks, authorities said. Two BNSF Railway locomotives and five cars derailed early Thursday morning in Crawford County, officials said in a news release. The crew wasn't injured, but one of the fuel tanks ruptured, spilling about 1,000 gallons of diesel fuel — some into the Mississippi River, the railroad said. BNSF crews planned to get on the river as soon as high water levels would permit and place a boom downstream to capture the fuel. Wisconsin emergency officials said 15 people who lived nearby were evacuated as a precaution. 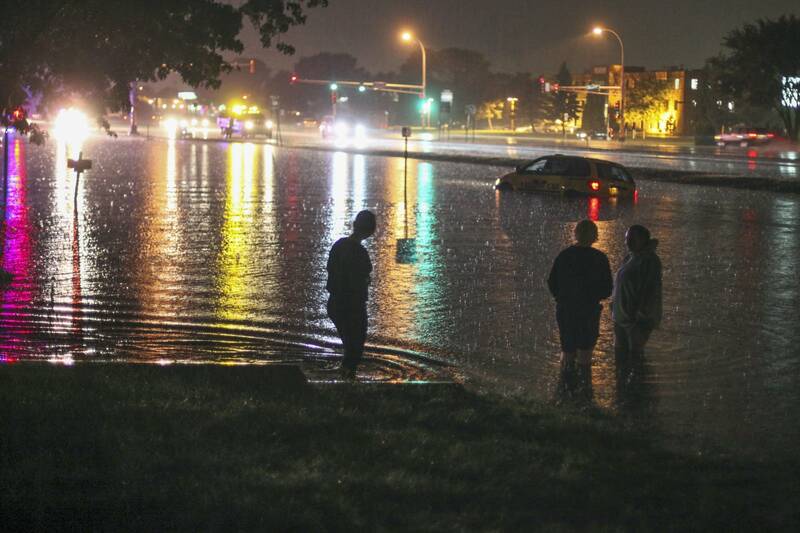 The Hennepin County Sheriff's Office urged residents Wednesday night to avoid unnecessary travel as water rose on area roads. Elsewhere, the Minnesota Department of Transportation said there are frequent small mudslides on U.S. Highway 169 north of Mankato. Portions of U.S. Highway 14 near Janesville and Waseca are also closed. 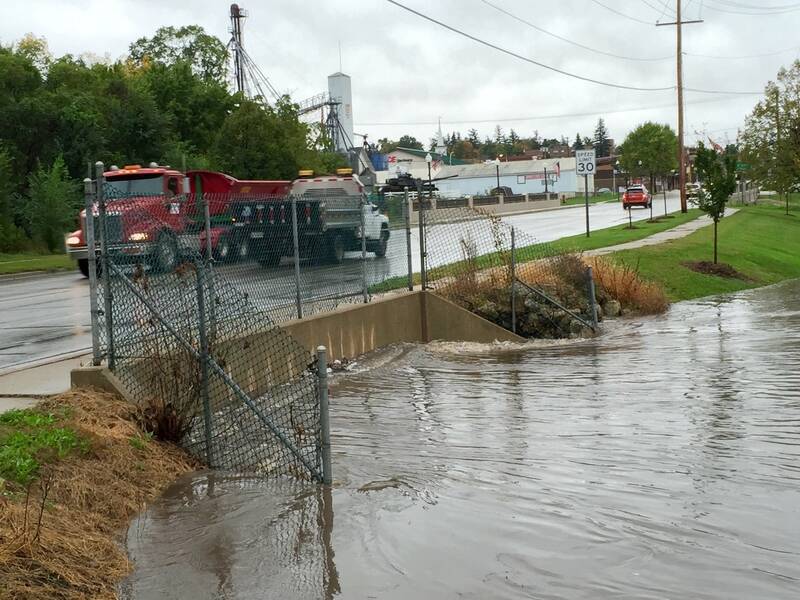 Meanwhile, the U.S. Highway 52-U.S. Highway 63 interchange in Rochester was closed with as much as a foot of water reported on the road. To the south, Minnesota Highway 16 is closed near Lanesboro because of a mudslide. Emergency management officials are cautioning drivers to keep an eye out for flooded roadways, and not try to drive through them. A foot of fast-moving water can carry away a small car, while 18 to 24 inches can carry away most large SUVs, vans and trucks. The storm system was bringing heavy rain from Iowa, across southern Minnesota and into much of Wisconsin.